mita sneakers are incredibly prolific when it comes to collaborations. Not content with being OG New Balance partners in some memorable MT580 makeups, the minds behind the mita stores have made powermoves with adidas and Nike over the years too. The Reebok Pump Fury is a ludicrous looking shoe and we still can’t get over the fact that the same man that designed it is behind the adidas Artillery, plus the NB 574, 1500 and 998, but it’s still a masterpiece. We’ve found (as is the case with the forthcoming CT take on it) that embracing the lunacy is our preferred way of paying tribute to this classic to celebrate its 20th birthday. mita have gone that route too, amplifying the eccentricity with a cable knit pattern that’s on some Richard Briers type steez that creates a glorious juxtaposition against the total tech of that exoskeletal, laceless look that brought us Instapump, cost a small fortune back in 1994 and fastened through inflation. Who would have thought that could work with some Captain Birdseye-esque yarns? Is this some kind of parody of the current wave of Missoni, Flyknit and Primeknit weaves? Probably. 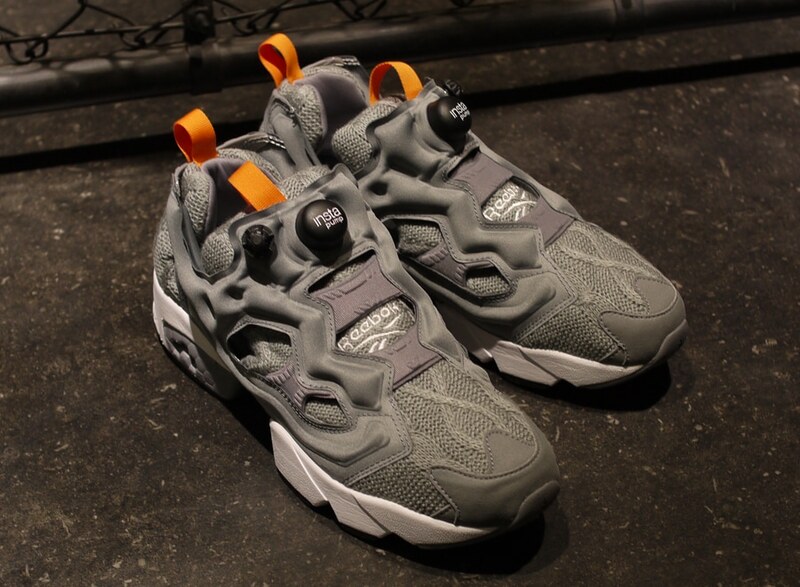 But the grey and orange colourway makes it kind of tasteful too, compared to the usual insane palettes. These have been and gone elsewhere and they’re in the store now. Definitely some of the best of the relentless rollout that’s being pumped out right now (though there’s a few more interesting ones on their way). The New Balance & United Arrows’ M1500 makes beige appealing.